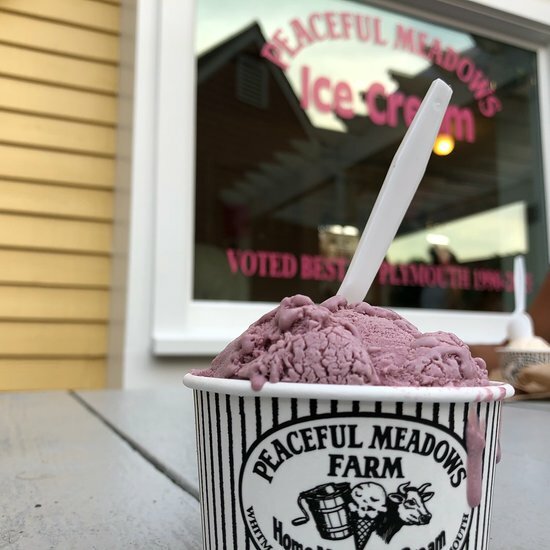 What can be said about Peaceful Meadows Ice Cream. 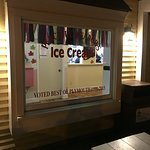 Our families all time favorite ice-cream stop in Plymouth Harbor and their location in Whitman (our favorite place to visit). 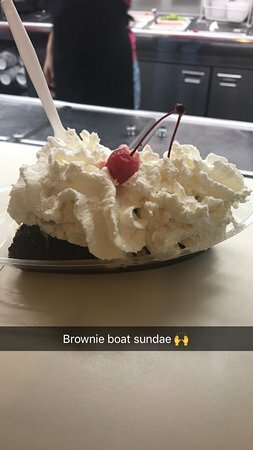 ice cream near harbor area and water street. so good and many choices! Outdoor seating on picnic tables. shops are near this one in a mini shopping area. walkable to 1620 inn. 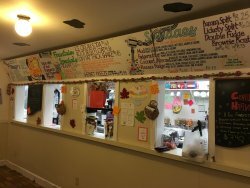 Great ice cream...so many choices to pick from. You can’t go wrong with any flavor. There are tables outside to eat your ice cream. 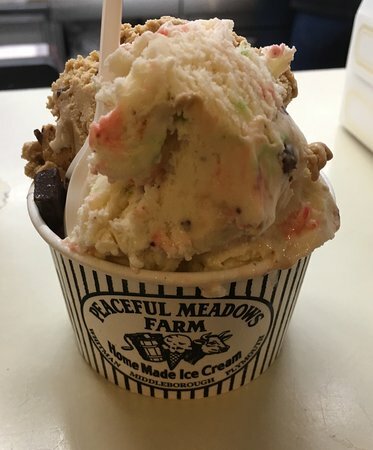 Eating ice cream is a rare occurrence for me, but when I do I’ll only eat homemade, and this place didn’t disappoint. Great flavor, I highly recommend the black raspberry. Fantastic icecream always i stop as often as possible the prices are outstanding. Banana brownie fudge sunday. 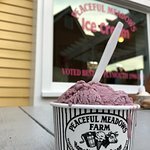 Get quick answers from Peaceful Meadows Ice Cream staff and past visitors.